Sunday before last, Suga got out of cooking and took her husband to the Tulips Restaurant at Eden Gardens for Sunday dinner. It had a quiet, comfortable atmosphere and televisions for entertainment. Our waiter was extremely courteous and took our order at 7:40pm. He wanted to get our order in before a big group upstairs at the Black Orchid Restautant, which seems to share the same kitchen. We were the only diners at Tulips so that is worrying if they have more diners or a full house. The Black Orchid Restaurant upstairs is fine dining with white glove service so even more pricey, while Tulips is casual dining with mainly Jamaican cuisine. We had ordered the Oxtail & Beans with a side of baked potato and steamed vegetables and had a standard 20-minute wait. The Oxtail & Beans was expensive but we were given quite a healthy serving. It had too much oil in the gravy but it was still tasty and flavourful. The Sweet Potato Pudding for dessert was delish. For such a simple Restaurant I think they are too pricey. They are open for Breakfast, Lunch and Dinner. So if you are not watching the pocket too much and in the mood for some tasty, home cooking and would like to eat out in a low key atmosphere, give Tulips Restaurant at Eden Gardens a try. So many places to go in Kingston for the Savoury (*$2800) category, where to go? With so many choices, to make a decision or decisions, it all comes down to reputable service, quality, ambience and ofcourse the menu. 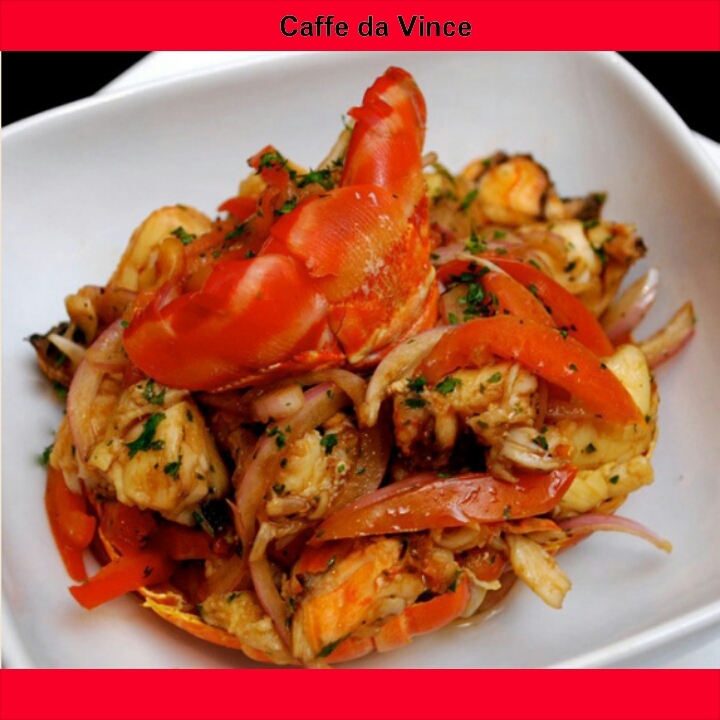 Caffe Da Vince in The Marketplace is at the top of the ladder for SuGa. The menu choices look delicious for appetizers, entrees AND desserts. Eggplant Caprese salad, their infamous Seafood pasta, Chicken Lasagne, Beef Tenderloin, Pork Tenderloin, Flambe, Panna Cotta, Chocolate Mousse Cake and the list goes on. It will definitely be hard to choose dishes, but that’s a good thing. Gimbilyn Restaurant at Alhambra Inn is not too far behind with an inviting menu including Shrimp salad, Ackee and Saltfish pockets, Tomato Bruschettas, Grilled Salmon, their signature Sirloin of Beef, topped off by some good looking dessert choices. Fromage is looking good as well. Their standard of good quality food and service has been high this year. They ofcourse will offer their signature Blu Crab Cakes, Steak Au Poivre, salivating Caramel Crumble Bread pudding and more. The Melting Pot Restaurant and Lounge at the Knutsford Court Hotel will have crispy Wonton Dumplings with corned pork and more. Roasted Air Line Breast stuffed with Smoked Turkey Pastrami, butter beans, pepper jack cheese and sundried tomatoes sounds flavourful. Seafood Portofino, Herb marinated Fillet with smoked Marlin and Chutney will also be there with a ‘rub your belly’ finish of Double Fudge Chocolate Cake, Rum Cream Cheese Cake or their Assorted Dessert Trio. Black Orchid Restaurant at Eden Gardens may be under the radar, but this is one of the advantages of Restaurant Week. Go somewhere you haven’t been before and see what the restaurant has to offer. Their menu stands out with a few unique dishes. Citrus Quinoa salad, Ackee and Saltfish Puff Pastries and Crab Chowder are on their appetizer list. For the main course, they have a Peppercorn Crusted Striploin, Pan Seared Salmon and the interesting choice of a Garlic Shrimp Coconut Polenta. Dessert choices look decent as well. Even if not chosen for Restaurant Week, restaurants that put themself out there are still recognized. Restaurant Week also provides a good outlet to promote or launch new dishes. The end of the year will definitely not go by before SuGa tries that orgasmic-looking Oxtail Lasagne offered at 689 By Brian Lumley on Wednesdays and Sundays! Have fun supporting Brand Jamaica and our local chefs SuGa Readers!